Papahānaumokuākea is the single largest conservation area under the U.S. flag, and one of the largest marine conservation areas in the world. The Papahānaumokuākea Marine National Monument encompasses 139,797 square miles of the Pacific Ocean, an area larger than all the country’s national parks combined. Papahānaumokuākea was established in June 2006. The Monument was created specifically to protect an array of natural and cultural resources. Included within Papahānaumokuākea are two National Wildlife Refuges: the Hawaiian Islands National Wildlife Refuge extending from Nīhoa Island to Pearl and Hermes Atoll, and Midway Atoll National Wildlife Refuge. Visit the Papahānaumokuākea website. In 2006, Presidential Proclamation 8031 established a unique management structure and mandated a range of additional protections for the lands, water and resources of a vast area of the Pacific Ocean in the northwestern extent of the Hawaiian Archipelago. The creation of Papahānaumokuākea Marine National Monument continued nearly a century of federal actions establishing protections for what is now one of the largest marine conservation areas on Earth. Extending a distance of 1, 200 miles in length and 115 miles in width, Papahānaumokuākea encompasses 139,793 square miles and is approximately two thirds of the original Hawaiian Kingdom. In Papahānaumokuākea, the significance Native Hawaiians assign to ancestral and environmental resources is on equal platform with all other interests. Thus, the Native Hawaiian people have an unprecedented and valuable opportunity to fulfill an inherent kuleana and participate in the responsible management of this wahi kūpuna through meaningful inter-governmental relationships. With these concepts in mind, Papahānaumokuākea is a place where opposite ways of thinking- the spiritual and scientific, indigenous and “western” must learn to coexist and find common cause to benefit current and future generations. On-going activities conducted by Native Hawaiian scholars and cultural practitioners in modern times are patiently reconnecting us to an understanding of ancestral knowledge that has the potential to be applied to and affect archipelago-wide resource management for the betterment of the Native Hawaiian people. The Papahānaumokuākea Program is one of four programs in the Line of Business of Advocacy within the Office of Hawaiian Affairs. The purpose of the program is to oversee management responsibilities in Papahānaumokuākea Marine National Monument (PMNM) and foster effective inter-governmental relationships and community partnerships to support collaborative cultural and natural resource advocacy activities throughout the Hawaiian Archipelago. 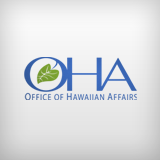 For more information about OHA’s Papahānaumokuākea Program, please contact Keola Lindsey or Kaaleleo Wong. Learn the chants of Papahānaumokuākea. Click below for text and audio versions of original mele composed for Papahānaumokuākea.